If you are hurt on the job, it doesn't matter if you have worked there for 6 months or 16 years, you are entitled to file for a workers’ compensation claim. Sometimes there is a question as to whether it is work related or not? Were you at work when it happened? Was the injury cumulative (due to a repetitive task)? Were you 'on the clock' when the injury happened? Sometimes people think if they get hurt outside of work that is automatically disqualifies them for workers’ comp. This is not necessarily true. If you are on your lunch break, but your boss has asked you to run an errand for him and you are on your way to complete that task you are considered “on the clock” for that time frame of completing that task and therefore it would be work related. If you were injured by a third party while at work then you can file a seperate personal injury claim against that person to collect damages. A correctional officer gets into a fight with an inmate and becomes injured, he could file a workers’ compensation claim against the employer, and a personal injury action against the inmate. A police officer has a driver pulled over and is in the process of giving them a ticket, when he is hit by another driver on the road. He could file a workers’ comp claim against the employer and a personal injury action against the driver. A secretary is out getting lunch for her boss and gets into an automobile accident. She could file a workers’ comp claim against the employer and a personal injury action against the driver who hit her. If you were injured by a third party The Law Offices of Craig Dykman can help. We hope you find these workers' compensation guidelines helpful. 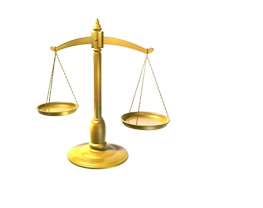 Contact an experienced attorney if you need help with your workers' compensaiton claim. Q. I received a notice of a hearing coming up, do I need to go? A. 9 out of 10 times the answer is no. You do not need to attend the hearing and your attorney will go on your behalf. If your attorney needs you to go he/she will call you to let you know you need to go. If you receive a notice of trial you will need to go. Q. My prescription has been denied what do I do? A. First let me start by stating a few reasons why it could have been denied. 1. Is that your prescription could have changed even slightly whether it is the quantity, or the dosage, etc. this will throw up a red flag to be denied; 2. Your adjuster could be on vacation and the person filling in is not aware of your particular case; 3. The doctor in the Utilization review department of the insurance company had some questions for your doctor and was not able to get those questions answered in a timely manner, they will deny the prescription; and last, 4. The insurance company feels that the requested prescription (i.e. physical therapy, or a brace) will not heal you, only “help” you, they will deny it. What you need to do is call your doctor and have them call the utilization doctor to explain what this medication is for and why you need it. This has to be done within 10 days of the denial so do not delay calling your doctor. Q. My paycheck has not come in the mail yet, why? A. A few reasons this may have happened, 1. Is that there have been a holiday and it is coming a day late; 2. There is a computer glitch on the insurance company side where the automatic payment got “dropped off” as they call it; or 3. They are switching your payments from Temporary Disability to Permanent Disability. (what this means is that you have either received what’s called a Permanent and Stationary status by a doctor and they are putting you on Permanent Disability payments, or you have reached the 2 year mark for which they must pay you temporary disability, they can now cut off your pay). Q. What if I am not “permanent and stationary” and the insurance company has cut off my paychecks how do I pay my bills? A. You should contact your local Social Security office and apply for State Disability. Q. I received a letter, not sure if your office got a copy of it? A. If you look at the bottom of the letter below the signature you should see a “cc” and our name. If it is there we have received a copy, if not we did not receive a copy and you should fax it to our office. Q. How long is my case going to take to settle? A. This answer is different for everyone because the first step in settling your case is that you must be healed from your injury. If you just got injured 3 weeks or 3 months ago it is not likely you will be able to settle your case in the very near future. You have to heal and we need to know what your permanent disability is going to be before we can settle. So if you and a friend both got injured at the same time but your injuries are more severe your case will take longer to settle because you will need more time to heal. If you have more workers' compensation questions call the Law Offices of Craig Dykman today at (415) 454-8545.